Doctor Who: The Time Travellers Review | Warped Factor - Words in the Key of Geek. Matthew Kresal travels with the First Doctor. The BBC's Past Doctor Adventures, like their Virgin predecessors the Missing Adventures, could often be mixed affairs. Some Doctors and eras proved difficult to replicate either character or story, others would be overdone to the point of being nothing but a series of cliches. Occasionally though, there would be moments when authors would not only be able to recreate Doctors and their era but take them in new (or more contemporary) directions. One such example of blending past and present would be The Time Travellers by first-time novelsit Simon Guerrier, a novel that holds the distinction of being the penultimate release of its range and also being one of the best books to come out of it. Guerrier manages to recreate his TARDIS crew splendidly. That being the very first TARDIS crew featuring the first Doctor, Susan, Ian and Barbara. Their reactions to the world(s) they find themselves in throughout seem spot on to what fans have watched and listened to for over half a century. In a way, Guerrier is at something of an advantage by writing for this crew, as the novel gives the reader the chance to get inside the character's heads in a way a TV story never can and Guerrier puts that to full use here with a crew that is still getting to know one another. You have to remember that this was a time when the Doctor was more mercurial if not downright mysterious then later incarnations and we're reminded of this at moments throughout the novel where Ian and Barbara worry about the Doctor possibly leaving them behind. Guerrier also foreshadows some things still in the character's futures as well, such as Susan leaving in The Dalek Invasion Of Earth (for which we are given a reason why the Doctor let her) and we even get a mini-sequel to the final minutes of The Chase (one that thankfully isn't as cringe-worthy as that story). The result of all this is that the characterizations are all spot-on in a way that is both familiar yet surprisingly fresh at the same time. With such spot-on work on the TARIDS crew, it would have been easy to make the supporting characters bland and barely noticeable. Yet Guerrier chooses to invoke one of the things that the Hartnell era would occasional do right: create supporting character's as interesting as the regulars. Bamford, Kelly, Griffiths, Andrews (splendid chaps all of them) and Wu all come across as three dimensional rather then possible cardboard characters. That sense of realism is heightened by Guerrier choosing not to delve into their motivations, though we are given plenty of glimpses into what those might be. Plus, like all good supporting characters should, they give the protagonists something to bounce off of. In fact the novel's best character moments come out of these times, with Barbara's moment of realization on page 162 being one that stands out most clearly in my mind. The result is a series of fascinating characters populating the novel throughout. It is in the plot that the book truly becomes a mix of past and present. Whether Guerrier intended it to or not, The Time Travellers has the feeling of being one that puts the earliest TARDIS crew in a story that could be right of the New Series of Doctor Who. 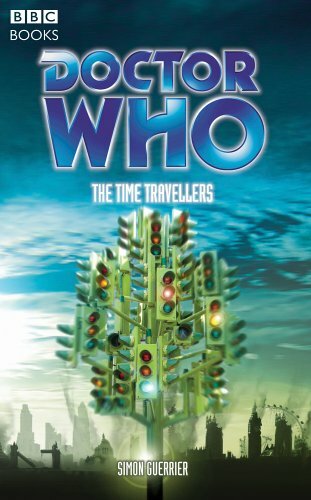 The characterizations of the crew, the scientific explanations, the occasional runarounds and even the title itself are all evocative of an era of Doctor Who that occurred over fifty years ago now. Yet elements like its time travel paradox, a big reveal involving one member of the crew that comes out in the final chapter as a consequence, its Canary Wharf setting during much of its length (if not the whole embattled 2006 London setting in general), pacing, even the prologue and epilogue all seem to be from the New Series. These styles should clash, at least in thought, you say? In practice though, Guerrier makes them work together to create a story that both honors the show's past while embracing its present without hesitation. The icing on the cake is the fact that the novel is both a sequel and prequel to a first Doctor story, one still in his future. There are also references to a few other stories here and there that are done in a way which is great if you get them but aren't really necessary to understanding the story. Yet Guerrier keeps in mind that this is a novel set during Doctor Who's earliest days and as such when he references things he keeps them vague, such as not naming the Doctor's people for instance. Plus he takes one of the most (in)famous lines from the show's earliest days, "You can't rewrite history! Not one line!" and gives a much needed explanation for it that is truthful not only to what was originally intended when it was said but also what ended up happening in the show's future as well. In short that means it's fan-wanking done right! Even being a debut novel, The Time Travellers proves to be a standout release. While the characterizations of the TARDIS crew, the scientific explanations, the occasional runarounds and even the title itself are all evocative of an era from the past, other elements such as the time travel paradox, a big reveal that comes out as a consequence, its setting during much of its length, pacing, even its prologue and epilogue bring to mind the Who of the present day. 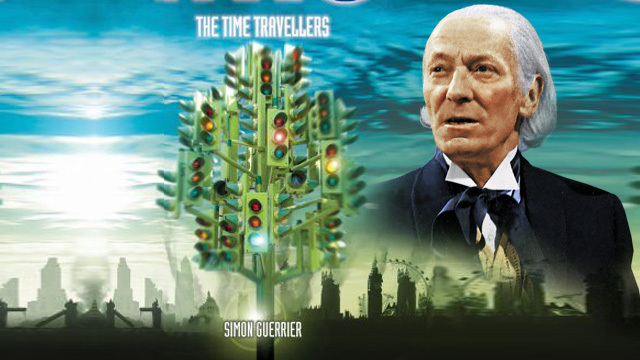 As a result Guerrier achieves a rare thing in either runs of the BBC's Past Doctor Adventures or the Virgin Missing Adventures: a story that blends the past with the present and comes out all the better for doing so.